Repealing the law will not cost Maine any money. 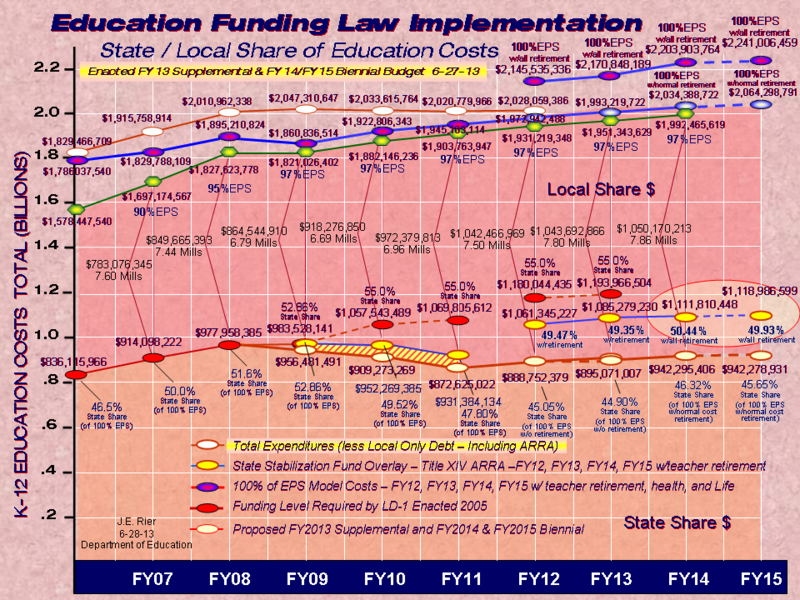 There was a $36 million reduction in the state budget for education. That money was cut from schools last year and it’s not coming back to the classroom or going anywhere else. 55% of Maine students are in 66 school districts that are unaffected by this law. They are exempt from consolidating because of size, geography, or other special exemptions granted by the DoE. Around 200 Maine communities in 125 school districts are adversely affected. They followed the law, created plans, voted on them, and will now be fined $5 million beginning July 2010 for voting against these plans that would cost them even more money than paying the penalty. These are primarily rural areas whose students are going to lose resources and be treated differently from students in more populated areas of Maine. Don’t believe it when you hear opponents of repeal say the majority of students in the state are in consolidated districts. They are not. 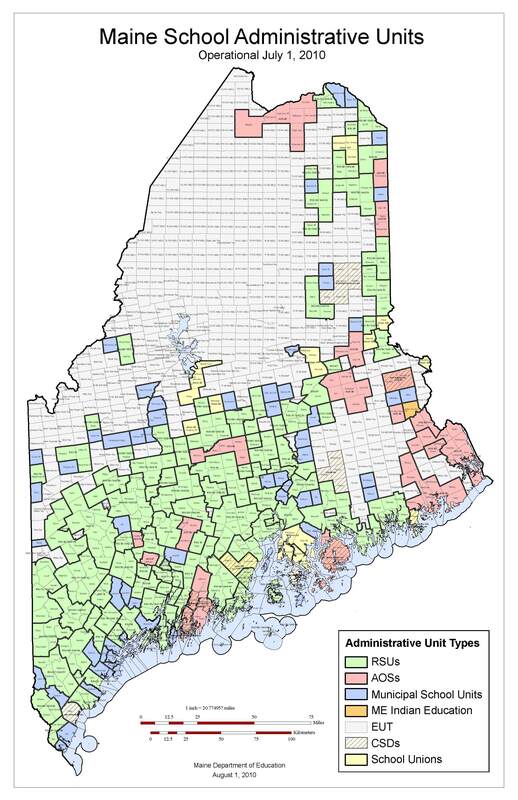 Only 27% of Maine's students are in the 26 districts that consolidated. The administration is playing with the numbers to try and make them look far better than they really are. Consolidation has cost money. Here are some examples: Windham-Raymond reported to the Legislative Education Committee that their cost of consolidation is $575,000 and Freeport-Pownal-Durham reported their cost of consolidation is $340,000. There are towns where taxes have increased largely because of consolidation. In Pownal taxes are up 25%, Durham up 19%, Alna up 33%. Some savings have been reported from 4 of the 26 new districts but they do not present the total picture. One of these is in the Bath area and they had 5 years to plan and got considerable support from the state. This was a voluntary consolidation which was done the right way – with enough time and money to make it work. Bigger bureaucracies cost more. After the last big push for consolidation - the Sinclair Act in 1957 - administrative costs soared. Per pupil spending on administration grew 406 percent, in 2002 dollars, from 1950 to 1980. Over that same period, the number of people working for the Maine Department of Education tripled. Maine school districts are working together. The school consolidation law does not recognize unions, yet there are many such structures today that are saving districts money. While there are 218 districts today, there are only 136 central offices, since many districts share a superintendent and were doing so before the consolidation mandate was passed. Repealing the law does not have to undo any consolidation that has worked. For the 26 districts that did consolidate, simple legislation will allow them to stay together as School Administrative Districts (SADs) or unions. Repeal would give cities and towns the option of getting out of a new regionalized district if it’s not working for them. Right now the law prohibits any community from withdrawing. We are asking Maine people to stand united for repealing the school consolidation law so we can get about the real task of identifying real savings in our schools.